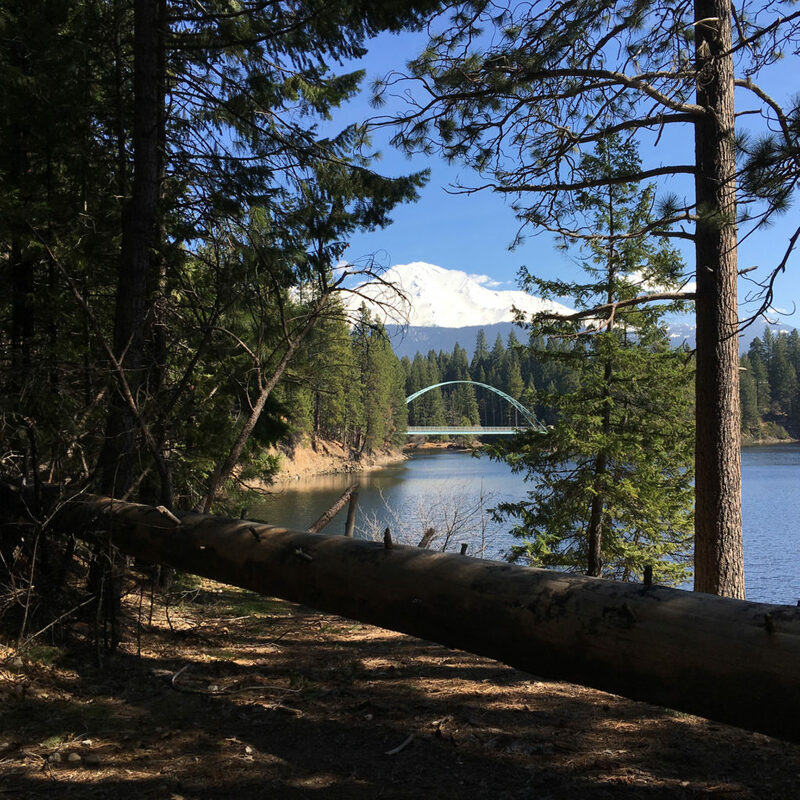 The Lake Siskiyou Loop is one of my favorite walking paths because it’s beautiful, the trail is flat, and all seasons have something different to offer. 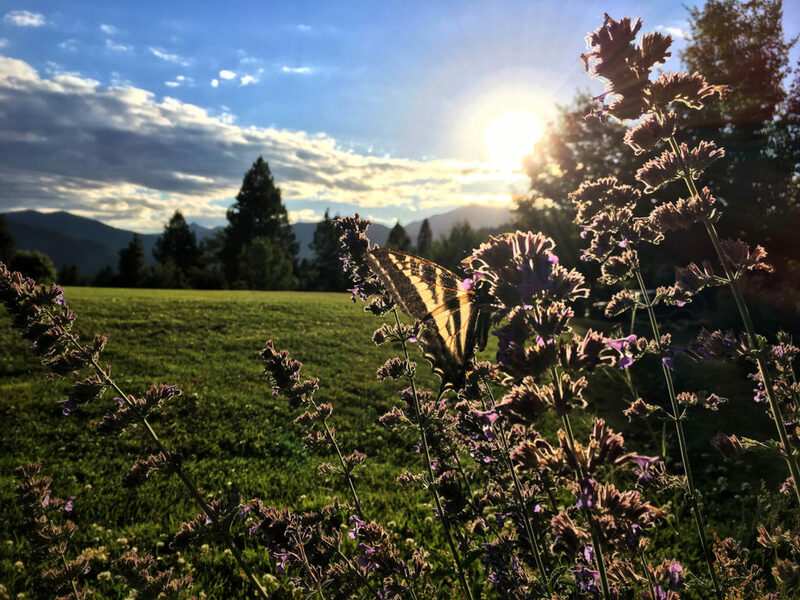 Whether you fancy a vigorous hike around the whole lake with friends, a picnic jaunt, or short leisurely photo walks, Lake Siskiyou has lots of options. 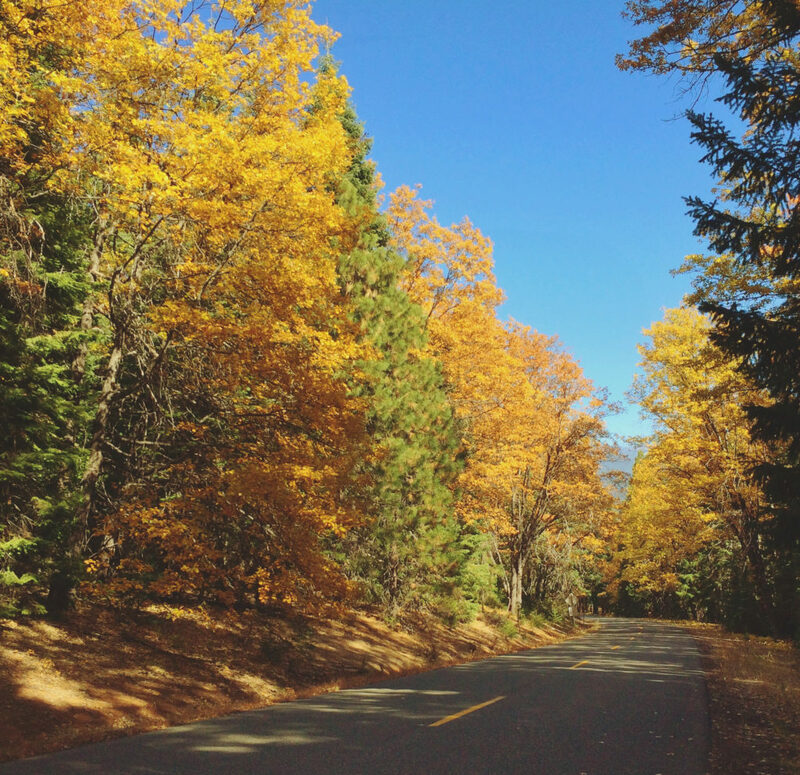 Fall photo excursions — I’ve gone on fall photos walks by myself and with friends, and there is nothing like smelling the pine trees and seeing the golden fall colors at Lake Siskiyou. Plus, gathering natural objects like leaves and pine cones for my photography projects is a fantastic stress reliever. Winter snowshoeing — Soon after my snowshoeing adventure at the Mt. Shasta Nordic Center, a girlfriend invited me to go snowshoeing at Lake Siskiyou. She had an extra pair of snowshoes that I borrowed, and we spent the morning playing in the snow. Rather than trying to take all the photos, I left my camera in my backpack and enjoyed the sparkly white views and an inspiring conversation on a crisp winter day. 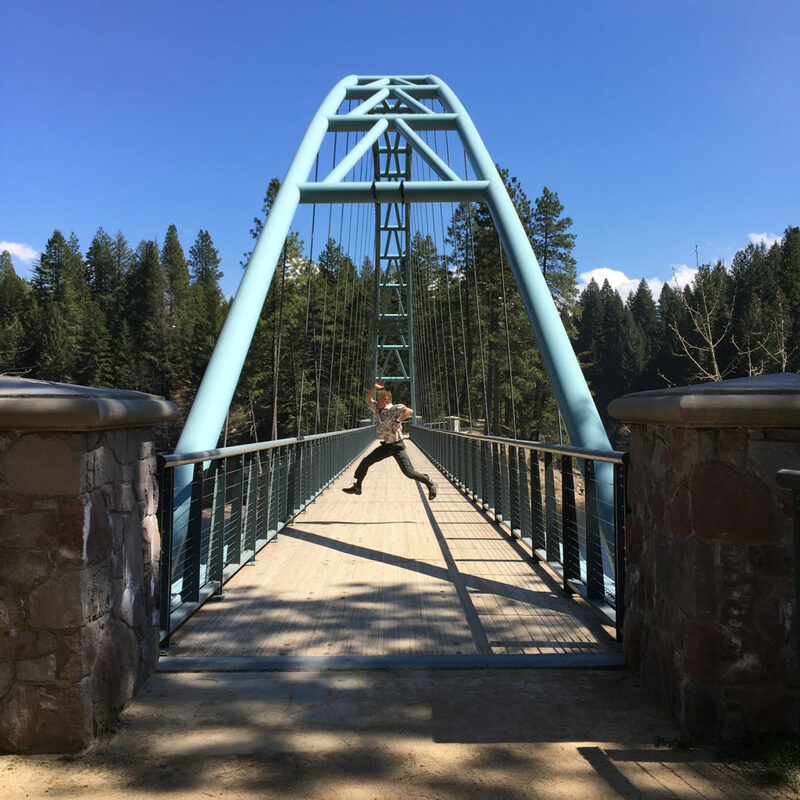 Spring beginnings — A few weeks after my husband’s birthday in April 2016, we decided to walk the north section of the Lake Siskiyou Trail to see the Wagon Creek Bridge. I’m glad we brought snacks and extra water for our meander because after taking photos of the bridge we walked to the trail crossing just above the Sacramento River inlet. At that point, we turned around and decided to have an early dinner at Lily’s in Mt. Shasta because we were craving their delicious garlic fries. Summer fun — A few months after our birthday walk, my husband and I spent a long weekend at the Mt. Shasta Resort. We celebrated the 4th of July and our upcoming wedding anniversary, and we had a blast! Since it was our anniversary, we booked a one bedroom lakeside chalet. Every morning, we savored a small breakfast and the quiet early morning views of the lake. Then we’d hit the Lake Siskiyou Trail for a long walk, and we also rented kayaks at the Lake Siskiyou Camp Resort for a leisurely afternoon spin on the lake. No matter the season, I love spending time at Lake Siskiyou because it’s peaceful and quiet. Also, with every season change, there is something new to see, and that makes the experience enjoyable and refreshing. —Pair your adventures at Lake Siskiyou with an overnight stay at the Strawberry Valley Inn or the Mt. Shasta Resort. Additional lodging options can be found here. 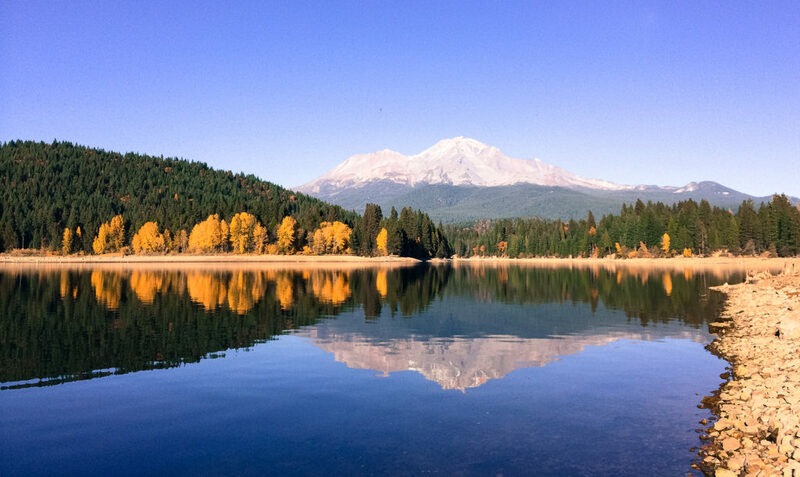 —Don’t forget your camera because photo opportunities are abundant at Lake Siskiyou. Capture views of Mt. Shasta, Mt. Eddy, the Wagon Creek Bridge, the Sacramento River inlet, and more as you stroll around the lake. —For winter walks, consider snowshoeing along the trails at Lake Siskiyou. If you don’t own snowshoes, rent a pair at The Fifth Season in Mt. Shasta. 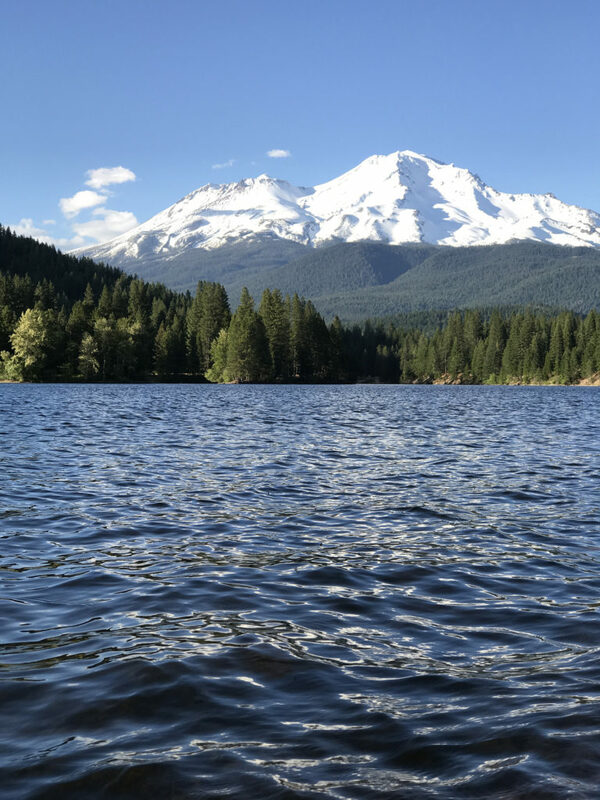 —If you’re not into walking, take advantage of summertime kayak and paddle boards rentals at the Lake Siskiyou Camp Resort. It’s a great alternative to hitting the trials on hot summer days. If you’d rather relax at a picnic table near the lake, the camp resort offers food and beverages.